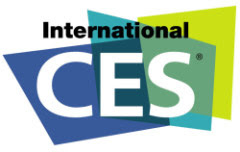 The international Consumer Electronic Show (CES) is only 3 days away. Like many tech geeks, I'm excited about what new products will be unveiled on that said event. As most of us may know, the CES is a trade show sponsored by the Consumer Electronics Association held each January in Las Vegas, Nevada. After the cancellation of Comdex, it is now considered as one of the major technology-related trade shows . The first CES was held in June, 1967 in New York City. From 1978 to 1994, CES was held twice each year: once in January in Las Vegas known as Winter Consumer Electronics Show (WCES) and once in June in Chicago, Illinois known as Summer Consumer Electronics Show (SCES). In 1995, the show changed to a once a year format with Las Vegas as the location. In Vegas, the show is one of the largest, the other being CONEXPO-CON/AGG, taking up to 18 days to set up, run and break down. I may be located here in this little island province of Bohol, which is thousands of miles away from where the event will unfold this January 7, but I will be keeping a close watch via the internet. In the meantime, I can dream and hope to witness the CES live real soon.